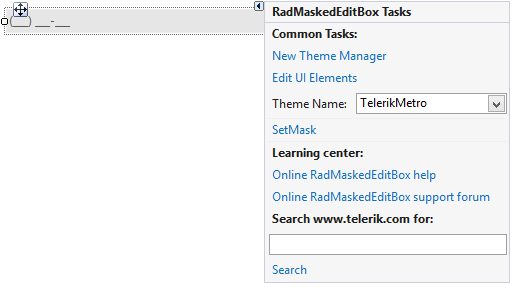 In this article we will describe the design time abilities of RadMaskedEditBox provided by its Smart Tag. 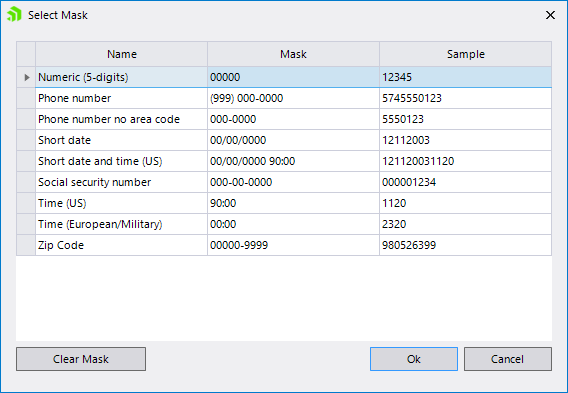 SetMask: Opens a dialog for specifying the mask. All of these properties are also available in the Properties window of Visual Studio.